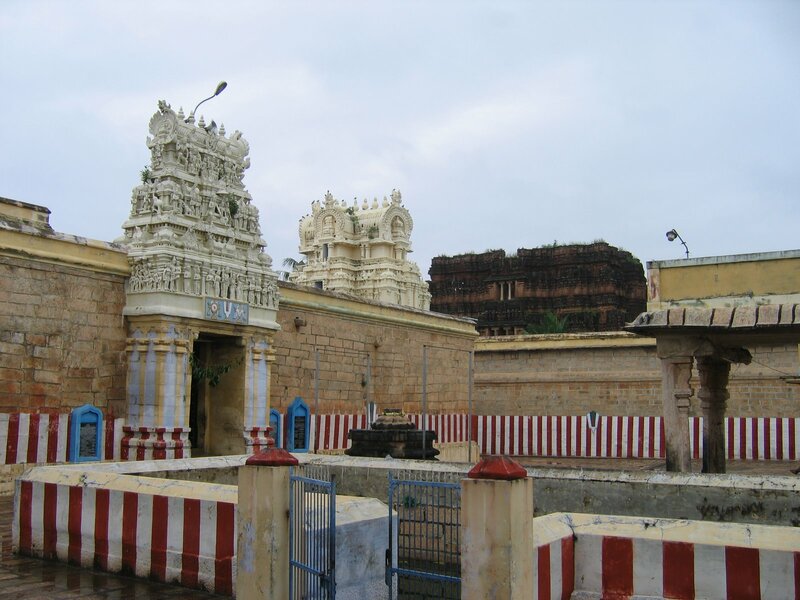 Pundarikakshan Perumal Temple or Thiruvellarai a in Thiruvellarai, a village in the outskirts of Tiruchirappalli in the South Indian state of Tamil Nadu, is dedicated to the Hindu god Vishnu. Constructed in the Dravidian style of architecture, the temple is glorified in the Divya Prabandha, the early medieval Tamil canon of the Azhwar saints from the 6th and 9th centuries AD. It is one of the 108 Divyadesam dedicated to Vishnu, who is worshipped as Pundarikakshan and his consort Lakshmi as Pankajavalli. 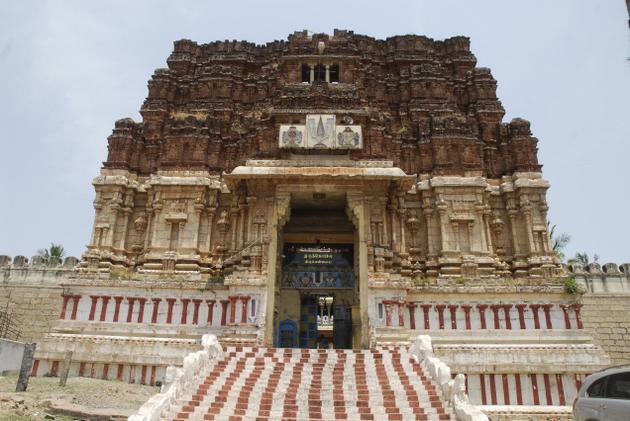 The temple is believed to have been built by the Pallavas of the late 8th century AD, with later contributions from Medieval Cholas, later Pandyas, Vijayanagar kings and Madurai Nayaks. The temple has three inscriptions in its two rock-cut caves, two dating from the period of Nandivarman II (732 to 796 AD) and the other to that of Dantivarman . 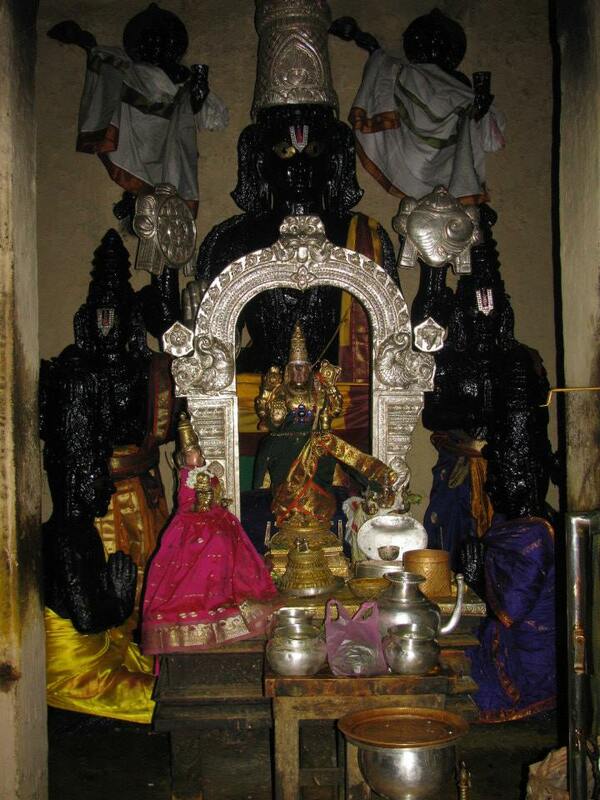 It also has Pallava sculptural depictions of Narasimha andVaraha, two of the ten avatars of Vishnu. On first looks, one could easily mistake this Divya Desam for an old fort. The front gopuram (temple tower) reflects a Hoysala style architecture that is so untypical of a Vaishnavite temple. The structure looks half finished and this is attributed to a war which is believed to have stopped half way during the construction.The wall around this temple is very big and covering the entire area of the temple and the walls also has all the 7 theerthams. Alvars have sung in praise of this temple. Almighty here is referred to Vedas, which is referred to white colour gives seva along with Thamarai Selvi Periya Pirattiyar in Nindra Sevai. Sreeman Narayanan is blessing dharshan to all living and non living things as Sooriya Narayanan. He is revolving around the Earth to make good things happen and to destroy the bad things. Based on the revolving time of the sun only the good time and all Subha Muhurthams are being calculated. 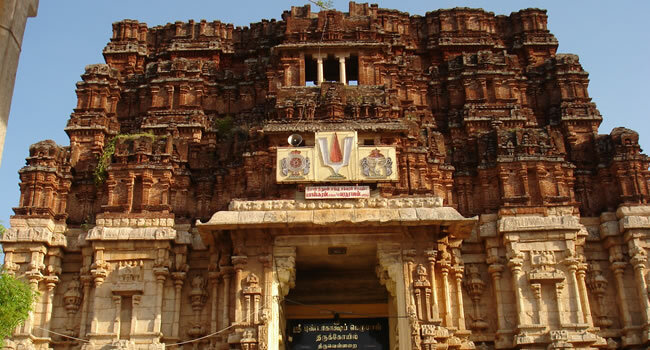 There are two entrances to enter into theKarpagraham worshipped as Moolasthanam, Where the Moolavar is blessing which are named as Utharayana Vaasal andDhakshanayana Vaasal. The period known as Uthrayanam - From Jan 15 to June 15, the way opened to be used is Utharayanya Vaasal and from the remaining period of another six months is known as Dhaksinayanam and for this period the way Dhakshanaya Vaasal will be opened to be entered. When one Vaasal is opened the other remains closed. 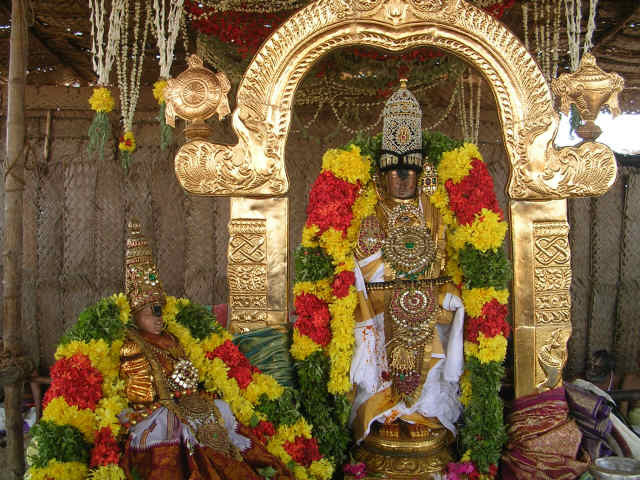 We are not suppose to do any good activities in the period of Dhakshinayana Kaalam and all good things like marriages should be done only in the Uthirayanam Period. Pandava Thoothar Perumal Temple, Kanchipuram, Tami..